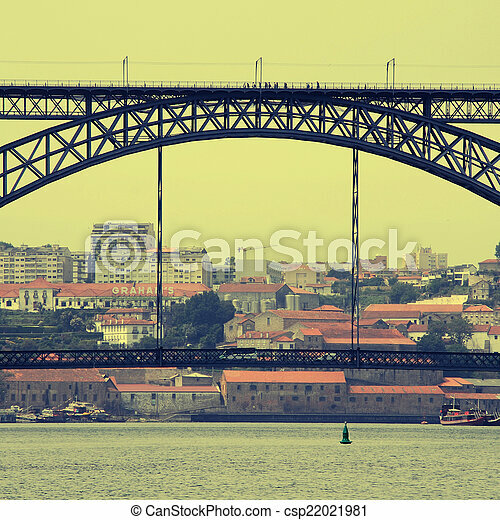 View of porto, portugal with the famous dom luis bridge over the river douro from the famous architect eiffel, instagram effect, toned square image. 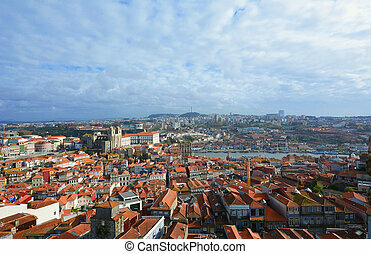 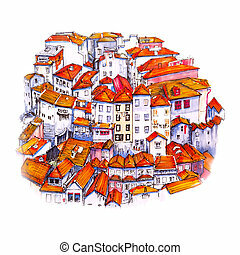 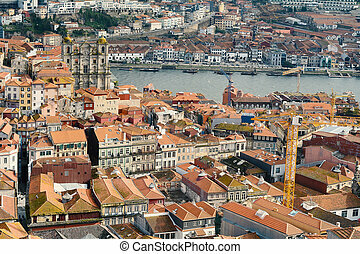 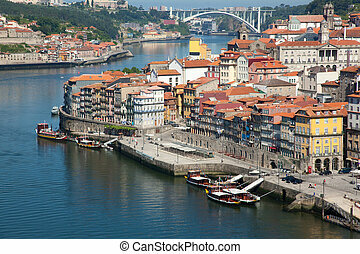 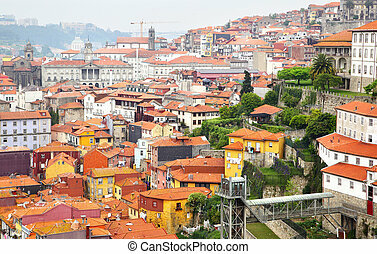 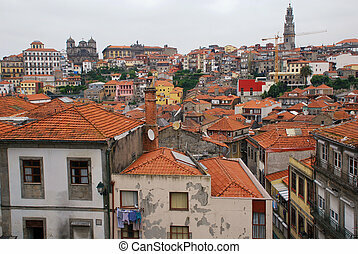 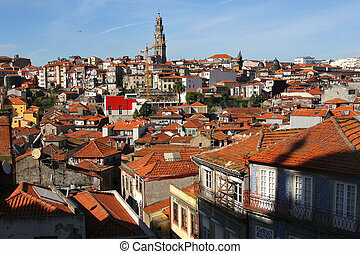 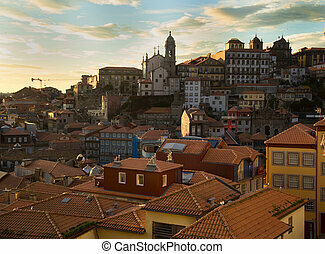 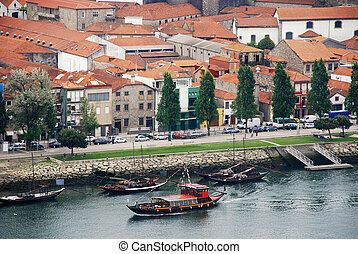 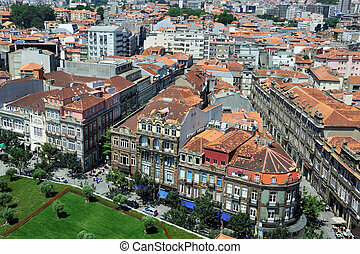 Aerial view of Porto with panoramic view of the red roofs, Portugal. 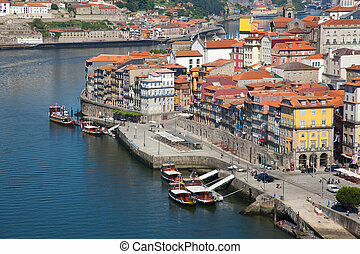 PORTO, PORTUGAL - MAY 06,2009: View of Porto city at the riverbank (Ribeira quarter) and wine boats("Rabelo") on River Douro, Porto,Portugal, a UNESCO World Heritage City. 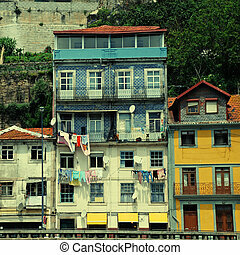 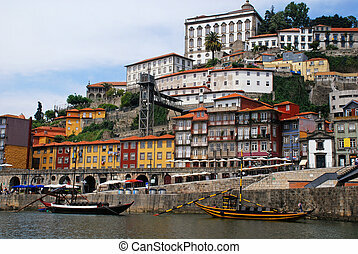 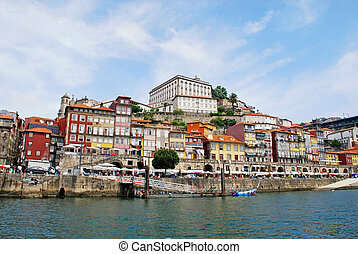 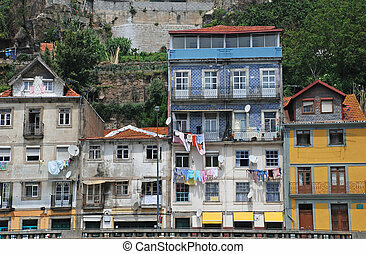 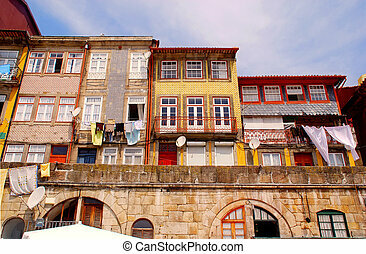 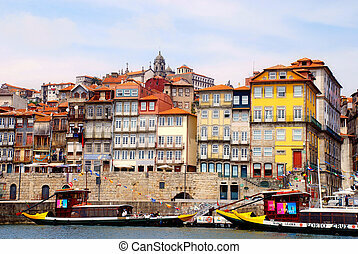 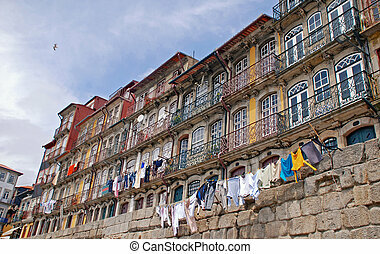 Typical Porto terraced houses on the Ribeira district quayside, overlooking the River Douro (Portugal). 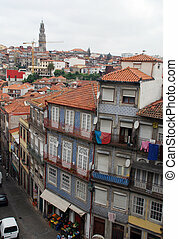 Houses are traditionally decorated with glazed blue and white ceramic tiles, known as azulejos. 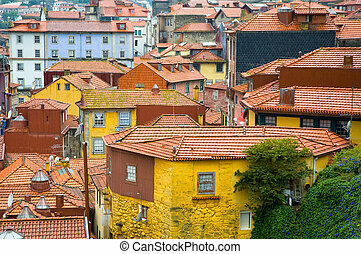 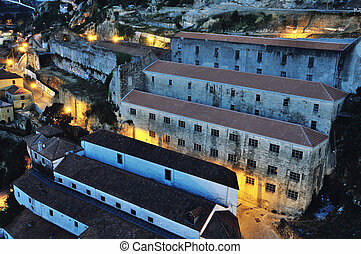 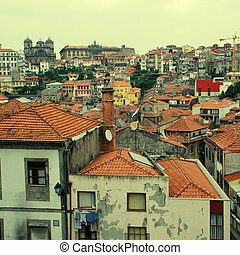 Red roofs of old buildings in Ribeira, the Old Town of Porto, Portugal. 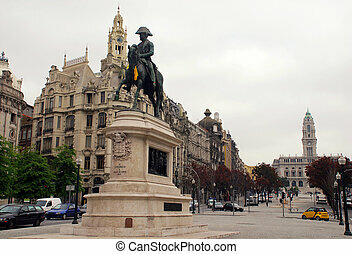 Statue of King Dom Pedro VI in the Plaza Liberdade Porto, Portugal. 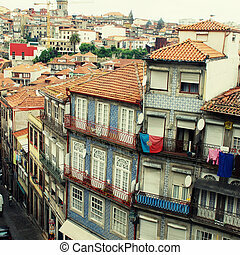 In the background main street Avenida dos Aliados and the city council. 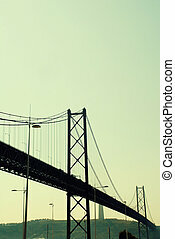 View of 25th of April Bridge on blue sky background in Lisbon, Portugal. 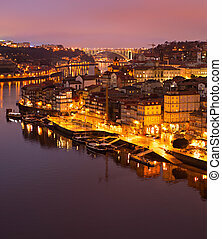 Vertical toned image with copy space. 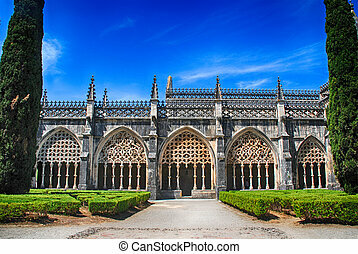 View of gothic medieval Monastery of Santa Maria da Vitoria and ornamental garden, Batalha, Portugal. 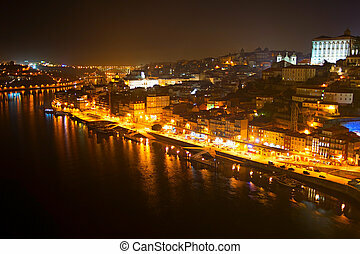 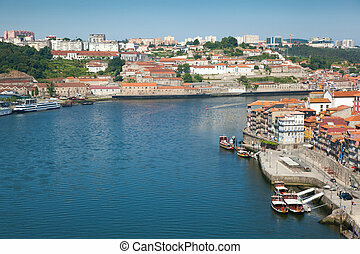 View of Porto city at the riverbank (Ribeira quarter) and wine boats("Rabelo") on River Douro(Portugal), a UNESCO World Heritage City.